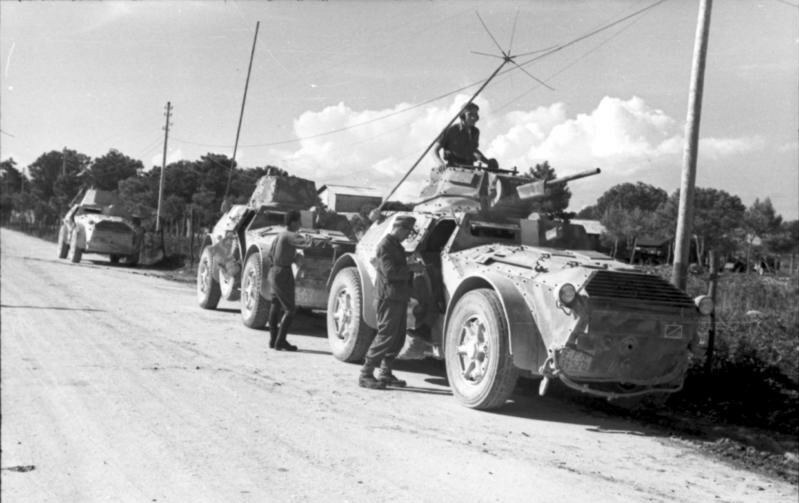 1943, September, Dalmatia. AB41 from Aufklarungs-Abteilung 114/114. Jäger-Division equipped with lenghtened antenna. 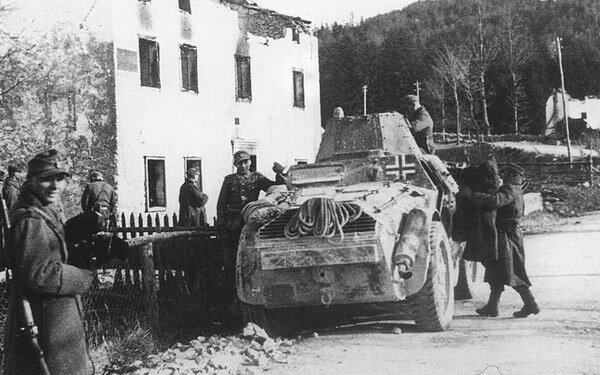 1944, February, eastern Friuli or in the Gorizia province. 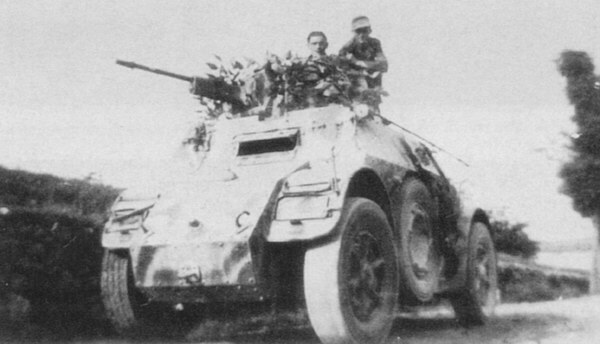 An AB 41 belonging to the Aufkl.Abt. 236 of the 162. (turk.) Inf.Div. 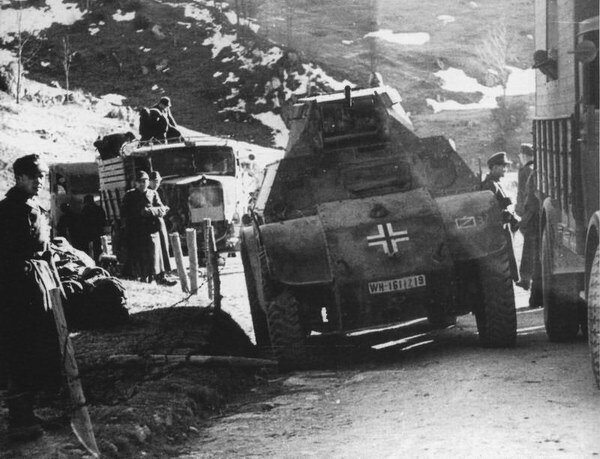 during an anti-partisan operation. Clear to see are the Balkenkreuz and the tactical symbol of the 3. Kp. of the Aukl.Abt. Other photos of the same sequence document that the SS-Karstwehr-Btl. also participated in this operation. 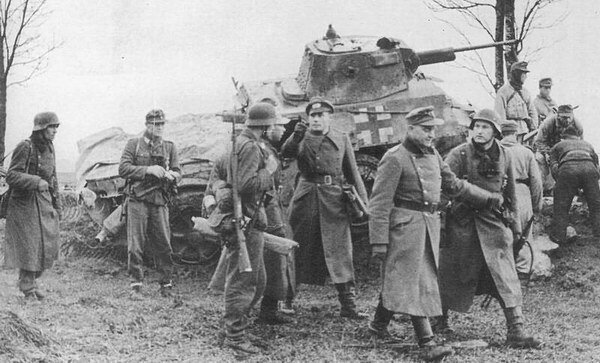 1943, 9-12 December, near Kocevje. AB 41 probably from 13 (verst.) Pol.Pz.Kp. In the foreground generalmajor Oskar Ritter Niedermayer, commaner of 162. (turk) Inf. Div. 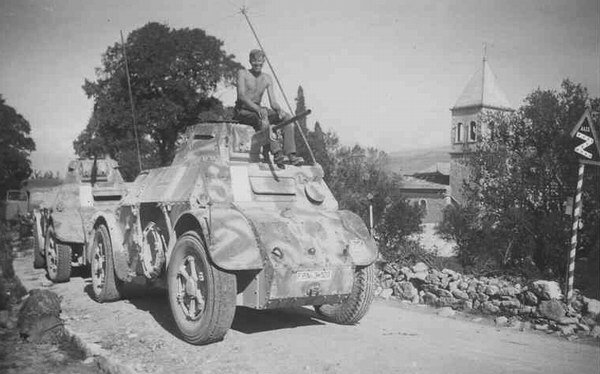 1944, beginning of the year, Italy. AB 41 from 278 Inf. Div.